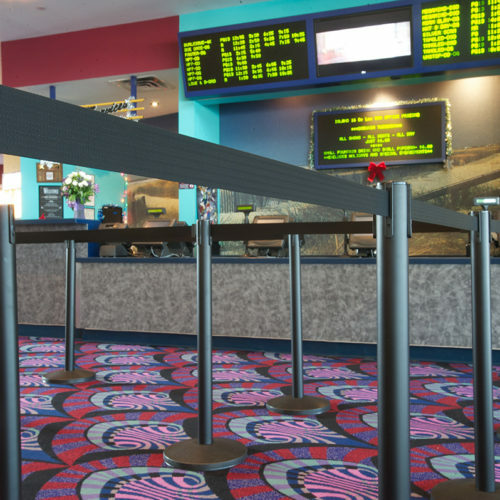 The QueuePro Cinema is designed for creating large queue systems where different length belts mean fewer barriers, lowers total purchase cost and reduces the labor required to set up and take down queue systems. The belt mechanism is housed inside the post giving the QueuePro Cinema a sleek, elegant look and despite the long span the belt won’t sag. 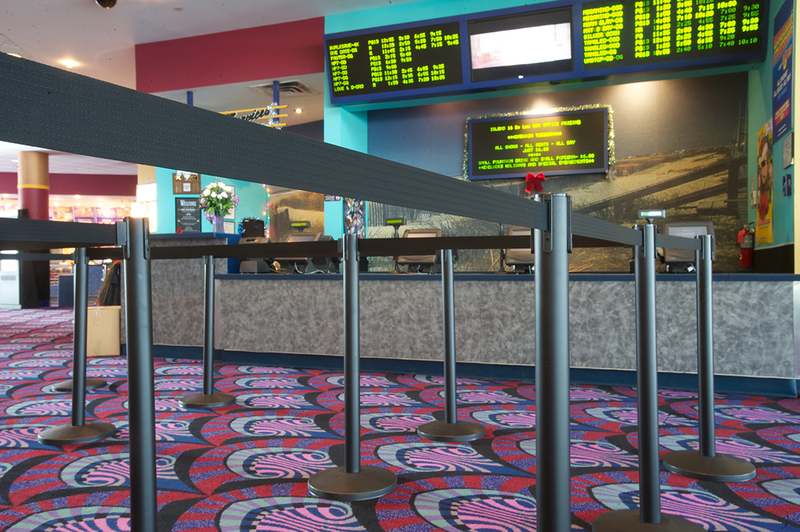 Made from a heavy duty steel post and a solid base, the QueuePro Cinema will withstand the wear and tear of high traffic areas.